After a jury convicted her of “fraudulent scheme and artifice” and the trial judge put her on “a four-year term of probation, which included . . . thirty days in jail”, Kristella Brandenburg appealed. State v. Brandenburg, 2013 WL 396163 (Arizona Court of Appeals 2013). On appeal, she argued that “insufficient evidence supported her conviction.” State v. Brandenburg, supra. to determine whether the evidence in the record is strong enough to support the judgment. If the trial court's judgment was in favor of the plaintiff (the person suing), the appellate court looks at whether the evidence, if believed, would convince the average person that the plaintiff proved his/her case by a preponderance of the evidence. On appeal, the reviewing court does not weigh the evidence or determine the credibility (believability) of witnesses. Instead, the appellate court accepts the trial court's fact finding and affirms the judgment unless the appellate standard is not met. This explanation addresses appellate review of a judgment in a civil case, but the basic principles are the same. 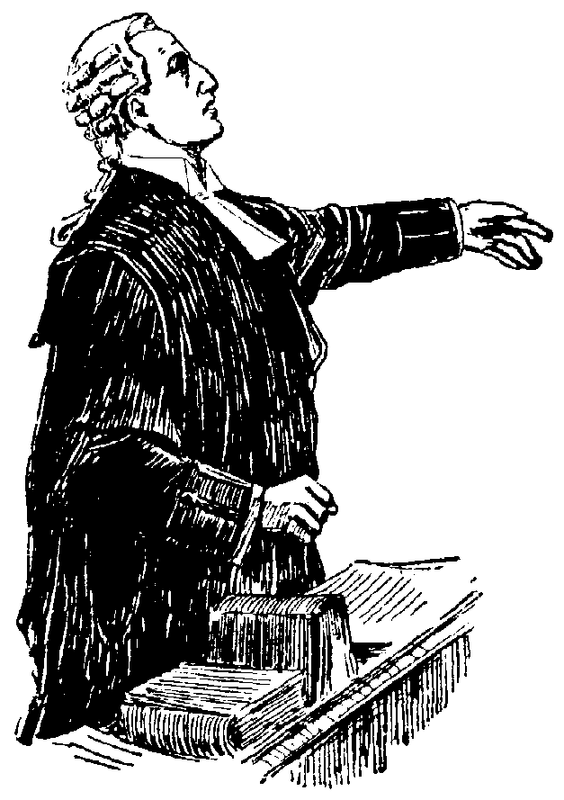 The most important differences are that the appellate court is reviewing the conviction (rather than a civil judgment) and, in so doing, is deciding whether the evidence, as accepted by the jury, would convince the average person that the defendant’s guilty had been proven beyond a reasonable doubt. Any person who, pursuant to a scheme or artifice to defraud, knowingly obtains any benefit by means of false or fraudulent pretenses, representations, promises or material omissions is guilty of a class 2 felony. `[A] “scheme or artifice” is some “plan, device, or trick” to perpetrate a fraud.’ State v. Haas, 138 Ariz. 413, 675 P.2d 673 (Arizona Supreme Court 1983), quoting State v. Stewart, 118 Ariz. 281, 576 P.2d 140 (Arizona Court of Appeals 1978). Reliance by the victim or any other person is not an element of the offense. . . . Thus, `[s]omething is fraudulent when it is “reasonably calculated to deceive persons of ordinary prudence and comprehension.”’ State v. Haas, supra (quoting U.S. v. Netterville, 553 F.2d 903 (U.S. Court of Appeals for the 5th Circuit 1977)). Brandenburg, who was the victim's neighbor, occasionally helped the elderly victim and his wife with household tasks and had taken the victim's wife `to a few doctors' appointments.’ In May 2011, Brandenburg told the victim, his wife, and their professional caregiver that the victim had a doctor's appointment and that she would transport him to that appointment. She instead took him to an electronics store. Once inside, she asked the victim if he wanted some water, and he apparently said that he did. While he sat near the registers, she went to buy the bottle of water and also obtained three laptop computers. Using the victim's credit card, she had the store clerk ring up the charges -- totaling $2,129.59 -- and brought the victim over to sign the digital pad. Brandenburg then walked the victim back to the car and settled him into the front passenger seat. She then retrieved the computers from the store and placed them in the back seat. She took the victim home, took him inside, and then took the computers from the car and walked home with them. [t]he following day, a representative of the electronics store called the victim and his wife to confirm the computer purchases. They were `stunned’ and `shocked’ to discover Brandenburg had used their credit card to purchase the computers; they cancelled the credit card and reported the incident to police. contention that the supreme court in Haas intended to impose a limitation on the scope of the statute. It stated that a scheme and artifice to defraud `is not defined according to any technical standard.’ State v. Haas, supra. It also stated the statute generally proscribes conduct `lacking in “fundamental honesty [and] fair play . . . in the general and business life of members of society.”’ State v. Haas, supra, quoting Blachly v. U.S., 380 F.2d 665, 671 (U.S. Court of Appeals for the 5th Circuit1967). The term `defraud’ as used in the statute is broadly construed `to cover all of the varieties made possible by boundless human ingenuity.’ State v. Haas, supra. The supreme court and the legislature clearly intended that the acts charged here, if proven, would constitute a crime. correct that it was uncontradicted, the jury nonetheless was free to reject her testimony that the signature pad showed the total amount of the purchase and therefore could infer the victim was not aware of the value of the purchases he had signed for. See State v. Lowery, 230 Ariz. 536, 287 P.3d 830 (Arizona Court of Appeals 2012) (jury free to discredit defendant's testimony); see also State v. Clemons, 110 Ariz. 555, 521 P.2d 987 (Arizona Supreme Court 1974) (`No rule is better established than that the credibility of the witnesses and the weight and value to be given to their testimony are questions exclusively for the jury.’). Similarly, the jury could reject Brandenburg's testimony the computers were within the victim's view when he signed the signature pad. In any event, the jury fairly could conclude that the victim, having been informed only that he was purchasing a bottle of water, would not have reason to believe he was buying three computers merely because they were sitting nearby. [a]s we noted above, Brandenburg claimed the victim had agreed to purchase a computer for her. But, even if the jury found Brandenburg's description of events credible, it could find Brandenburg guilty of violating Arizona Revised Statutes § 13-2310(A). The jury did not have to conclude that the victim would know the price of $2,129.59 purportedly shown on the signature pad was for multiple computers instead of only one or that the presence of three boxes near the register meant that person would know he was purchasing three computers instead of one computer and accessories or other related items. Even if we agreed Brandenburg's statements suggest, as a whole, she merely had convinced the victim to purchase three computers for her, it did not require the jury to reach that conclusion. Instead, her statements clearly permitted the jury to infer she had obtained the victim's signature for the purchase of three computers despite his belief he was purchasing only one. to the extent Brandenburg asserts the facts of this case are analogous to State v. Johnson, 179 Ariz. 375, 880 P.2d 132 (Arizona Supreme Court 1994), we disagree. In Johnson, the defendant used a gas card given to him by his employer to purchase gasoline for personal use. . . . Our supreme court determined there was no fraud present because the employee had not used pretense in obtaining the card or in purchasing the gasoline; he merely had purchased more than he was authorized. . . . Here, in contrast, the jury could find Brandenburg induced the victim to purchase the computers by misrepresenting what he was purchasing. The Court of Appeals therefore affirmed Brandenburg’s conviction and sentence. State v. Brandenburg, supra.